Keno has popped up at every pub we visit for a beer on a Friday afternoon, and every RSL we seem to end up at on a Saturday night to catch the game. It has also made a name for itself online, with software developers creating standard titles and variants too. But have you ever wondered where keno originally came from? We have, so to find out we are taking a look at the long timeline of the game. Both documented accounts and urban legends have suggested keno originated in China. Whether you believe the legends, or whether you’re one for cold hard evidence is entirely up to you. 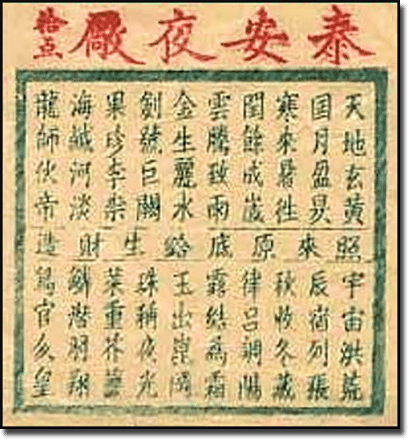 During the Han Dynasty 3000 years ago, Cheung Leung created keno in order to get money from the people of his city, since he had already used up all the political means to take their money. Since the war was expensive, he needed these funds and knew his people were fed up in paying their taxes – so gambling provided a fun alternative. Leung created the game and used 120 characters from the 1000 different Chinese characters featured in the ancient poem, “The Thousand Character Classic”. He laid them out on in a lotto board format and players would place their bets, with up to 10 bets using a pen to mark their ‘Spot’. This is where the term ‘keno spot’ originated. It has been said that the game was so successful it spread to other villages and was then called “White Pigeon” because birds would fly the results to those in remote locations. Next came the use of the game to raise funds for the Great Wall of China, many years later. However, since the Chinese lottery wasn’t licensed until the 1800s, these are indeed just legends and we can’t be 100% sure about how true they are. Additionally, Keno wasn’t what it is now as the game used 120 Chinese characters instead of the 80 numbers or spots we see today. Chinese characters are still used in China, but they too only use 80 Chinese characters, though it took some time for the game to evolve into what we play today. In the 19th century many people from China immigrated to the US to work on the railroads and they brought keno with them. Rather than being called keno, it was called the Chinese Lottery and it was most popular in San Fransisco where the largest concentration of Chinese immigrants were located at the time. Despite the name, the characters were eventually changed to numbers so English speaking players could understand and join in, and it really kickstarted keno in the US. However, since it was considered a lottery it wasn’t legal – gambling was legalised in 1931, but lotteries were still illegal. To keep the game alive and to combat this problem, the name was changed to ‘Race Horse Keno’ and the game was disguised as a racing game with every number for keno represented by a horse. Players could then carry out keno bets pretending they were horse racing bets. This is exactly where the term races, used to described rounds of keno, came from. Lotteries were eventually legalised in the 20th century and Keno reverted back to its original form and made its way to land-based casinos. When keno first hit land-based venues, the 80 numbers were written on pieces of paper and put into tubes. Out of the 80 tubes, 20 tubes would be drawn and the winning numbers announced. These tubes were eventually replaced with wooden balls that had the numbers carved into them, called peas. 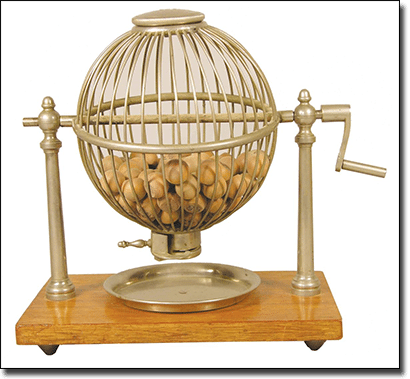 In 1936, Warren Nelson opened his own casino and operated the first legal keno game that involved numbered balls rotating in a cage, which you can still find at land-based casinos today. However, the common kind of keno you will find at land-based venues, such as pubs and RSLs, involves the computer generated keno that features the 80 spots with 20 numbers drawn every few minutes. Players fill out a form and hand it into a bar attendant, then check the results once the games they played have been drawn. There isn’t much room to create your own pace with this game, hence why when keno went online software developers created it as a game you could control. With the introduction of the Internet in the late 20th century, online casinos emerged and keno developers took notice and began creating games that were compatible with computers. Developers have for the most part stuck with the 80 numbers, though you will find variants. While it is computer generated by RNGs, similar to the pub and RSL style of keno, it isn’t linked around specific States rather it is linked to the software developer and online operator and you can thus control when the numbers are drawn. Additionally, there are’t any forms you are required to fill out. What’s interesting is that these types of keno have also evolved and we can now play them on your smartphones and tablets. There are unique variants, some with only 40 numbers, others with unique themes, but all have advanced from the original keno game created in China.